Every profession has their own bloopers. I love to look at church bulletin bloopers and Psych chart bloopers. My wife the nurse collected these hospital charting bloopers. Enjoy! the third day it disappeared. 7. The patient is tearful and crying constantly. most of her life, until she got a divorce. our car for physical therapy. The Navy has developed a way to create antennas without using metal, ensuring that snooping radar cannot pick up their usage. I have no idea why this is useful to anyone, but I think it is so cool. Navy Antenna Using Seawater instead of Metal – Technology Review. I listen to a half dozen preachers every week. I do this for the same reason football players watch game films or mothers watch what other mothers are doing with their kids: I want to improve. But I have another reason: I just really like good preaching. I thrill to listen to someone teach the Bible like a craftsman, combining the anointing of the Spirit with the skill of connecting to people. The Internet has produced a Motherlode of preaching. Back when I was learning the skills that go with good public speaking, all the best preachers charged money for tape recordings of their sermons. Now most sermons are free for download and the ones who still charge will soon learn that no one is listening to them. As with all forms of media, the Internet has made free what used to cost a lot of money. But when I consider what I hear in these sermons, I have to conclude I’m glad they are offering their sermons for free – because I certainly wouldn’t pay for them. My real question is whether preaching is getting worse or if the Internet reveals the condition of preaching in our day. Either way, let me describe what I’m seeing. As I do that, it is with two understandings. First, some approaches to preaching I don’t like may be your favorites. Second, I like the way I preach and I don’t make any apologies for it. I wouldn’t preach the way I do if I didn’t completely agree with it. That said, here is what I observe. Topic of the Day Preaching: A month ago, my Itunes downloaded over a dozen messages from preachers talking about how to survive the coming economic hard times. I can see you thinking “so what’s wrong with that?” The problem is, the time to preach this was last year – or five years ago – not now. Their advice was as helpful as CNN’s latest study or the current circular from the Brookings Institute. I swear you could give me a sampling of sermons from any given year in the past ten and I could tell you exactly what year it was by the topics covered. This doesn’t mean we shouldn’t be relevant. But great preaching is always ahead of the times, not keeping up with it. All sermons should be practical, but they have to have an undergirding of essential spiritual truth as well. As the old Scottish preacher, Alexander Whyte, said to his preaching students: “You have to go from Jerusalem to Edinburgh when you teach.” What he meant is we have to establish a foundational truth first before we can prescribe solutions. “Topic of the Day” preaching is more “how-to” than “why-to” and that turns me off completely. Where are the Failures? : I listen to the superstar church leaders and there is almost always something missing: They only tout their successes, not their failures. I learn better when someone talks about how they failed their wives or church and how God had to mess with them to get them back on track. Just once I want to listen to a Chief of Sinners and not the Best Selling author. I want to hear more Martin Luther, who lived transparently and told others how he struggled, and a lot less Norman Vincent Peale and his positive thinking. Reliance on gimmicks: When PowerPoint first started to be used in church services I had an uneasy feeling. (Disclaimer: I use PowerPoint when I preach). I feared that some guys would use this technology so much that it would replace their responsibility to hold people with their words. Nothing replaces good communication skills from the pulpit. You can make a sermon more interesting with Youtube, videotaped testimonies, clips of the latest movies, etc., but a steady diet of these technologies makes a preacher lazy. I have used all of these when the situation was perfect for it, but I am very wary of over-reliance. Several times last month I had to turn off a sermon because it was so full of media I couldn’t follow the point. More Prophetic, less Opinionated: No one is more opinionated than I am. At least, that’s my opinion. But when I prepare a sermon, I do one entire draft where I excise as much of my opinion as I can. And when I want to give my opinion, I label it as such. What I want more than anything is to live by Peter’s admonition: “When you speak, speak as if it were the very words of God.” Prophetic preaching sounds so different than Opinion preaching. When someone is speaking what God is saying to our generation it has a different sound and feel. It doesn’t even need to be interesting, for it grips the spirit of each listener. I haven’t been gripped very much lately. There are some preachers still doing it well. I like listening to those who preach clearly and consistently, such as: Ravi Zacharias, Jack Hayford, Francis Frangipane, Erwin McManus, John Piper (sometimes), Dutch Sheets and Rick Joyner. Perhaps you have heard some other preachers that spoke clearly and consistently to you. I would love to hear about them. 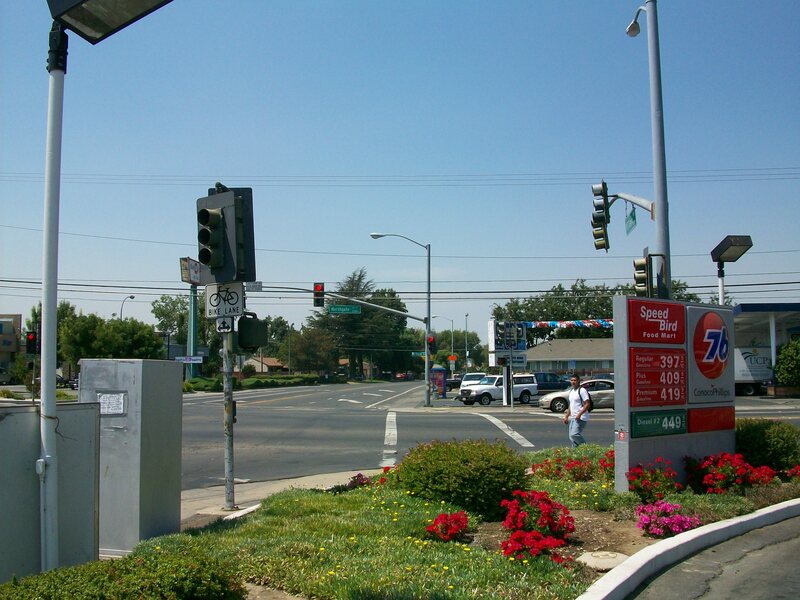 Today’s intersection for prayer is the corner of Blackrock Dr. and Del Paso Rd. 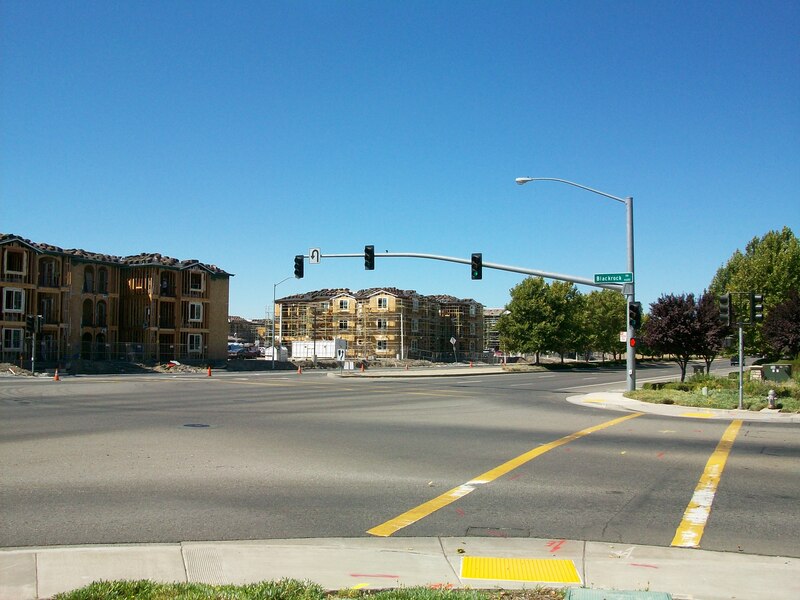 This is the site of three of Natomas’ charter schools. It is also the site (right across the street) of Natomas’ newest Subsidized Housing conglomerate. As you can see, this intersection has many crime stats. Would you be willing to go down there this week and pray over this intersection? How easy is it to pray and intercede for the area around an intersection? It is about as simple as thinking. Here are four obvious and easy steps if you want to pray for a particular area. 1. Print off the picture and the crime map below these instructions. Then as you look at them, ask God what He wants you to be praying. 2. Whatever comes into your head, pray that. 3. If a burden comes to you and won’t leave, pray as many times as you like for that neighborhood until the burden does leave. If necessary, go to the intersection and either drive through or walk around it and keep praying. 4. Whatever God shows you to pray for, come back here and report what God showed you. For those who read this from the Bay Area or Temecula or Montana, you can still pray and God can still show you. God does not recognize how far away you are from a location to begin praying. The intersection in question is one of the most crime-infested in our city. Northgate and W. El Camino has seen several violent episodes in recent months. But it is also very close to the location for the Greenhouse Ministries that are just a couple of blocks away. In addition, there is a ministry to orphaned children just a few blocks away from this intersection. 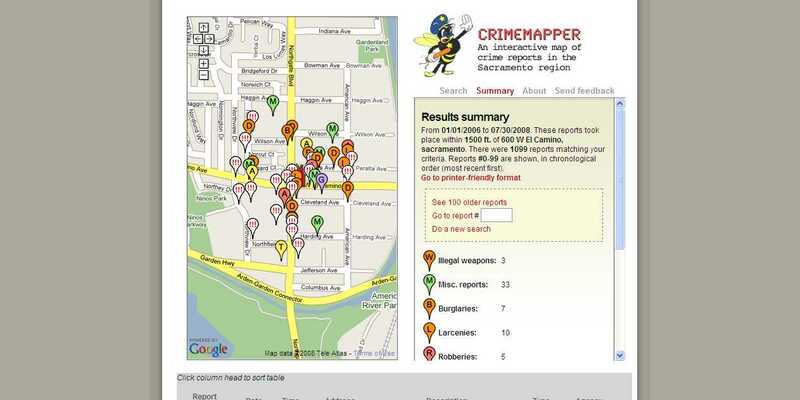 Here is a picture and the crime stats. Alex was oozing cuteness. Somewhere around 3 years old, Alex quietly explored the entire swimming area of the hotel, systematically lifting up everything, climbing over everything, even tasting everything. His mother followed him incessantly, trying as she could to keep him, or others, safe. Finally, she settled for just herding him in the general direction of safety and oversight. I tried to read my book from the lounge chair, but honestly, Alex was much more interesting. He reminded me of the familiar comic strip from my childhood – Family Circus. Occasionally, the comic strip would feature one of the many children going somewhere or coming from somewhere, winding their way in a tortuous route instead of a straight line. Alex was a living embodiment of the Family Circus children. I should have guessed he also resembled another of my comic companions from childhood: Dennis the Menace. His mom finally settled in her own poolside lounge chair as Alex had formed a predictable pattern. He would go through the following circuit: Eat an animal cracker, go to Mom and ask her an inane question, throw something small, run over to the fence and inexplicably bounce off it, return to the animal crackers bouncing the entire way. Three-year old Alex was finally following some kind of pattern and mom began reading her novel. That is when Alex noticed that she was taking him for granted. At that point, he began to channel Dennis the Menace. He must have noticed that no one was in the hot tub for the first time that morning. Earlier, I had heard his mother warn him to go nowhere near the hot tub, but somehow he forgot. He wandered purposefully toward the warm water, even as I watched with fascination. Just feet away from his goal, the amazing mother’s intuitive radar kicked in and she forcefully warned: “I told you not to go near the water Alex.” I’m pretty sure she didn’t even look up from her book as she said it. This tone of voice had worked all morning. But this was where Alex decided to take his stand. He didn’t move away from the water but stopped just two feet from its edge. If this had been earlier in the morning, I am sure that his mom would have rushed over and whisked him back to her side. But she was now too comfortable to get up. So she let her voice take over for her superior size. “Yes mom.” Alex didn’t move a muscle. He just inched closer to the water. “Children…” mom attempted a third time. Finally mom got up and retrieved Alex and brought him over by her. The bible memory verse never got finished. I imagined that Alex had got the verse word perfect over breakfast. I can just hear Mom and Dad squealing with delight as he said it perfectly. But saying it in a theoretical breakfast setting is much different than saying it when it meant something. That is the problem with learning truth. We often separate truth into two columns: The column of theory and the column of practicality. We often embrace all truths when they line up as noble theory. Similarly, we tend to ignore truths when they obnoxiously venture over and interrupt the column of practical daily life. That is when they stop being a source of joy and become a babysitter we try to ignore at first and deny at last. Alex is every man. Alex is the example of the flesh sitting by the pool, denying the very truth he was pleased to embrace hours earlier. Of course, Alex is just a child. We know better than Alex.